You are here: Home → Articles → Do You Have a Severe Impairment? At Smith Godios Sorensen Inc., we understand the SSA’s process for determining who’s disabled and who isn’t. We also know what it takes to succeed with a claim for disability benefits. The bottom line? If we don’t win, you don’t pay any attorney fee. It really is that simple. For a free consultation with an attorney, call 877-230-5500 or contact us online. A “severe” medical impairment is defined by the Social Security Administration as a medically determinable physical or mental condition that significantly impacts or will impact a person’s mental or physical ability to perform basic work activities for at least 12 months. Social Security, however, not only looks for a medically determinable impairment, they look to see if you are treating for that impairment. As you might have guessed, the phrases “significantly limits” and “basic work activities” can give the SSA quite a bit of wiggle room to deny claims, especially for conditions that might not be considered long-term. And without ongoing treatment, denying claims is what SSA does. 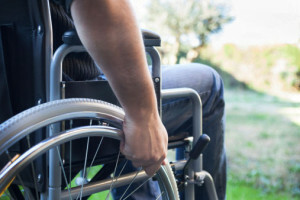 In practice, however, few disability claims are denied at Step 2 as almost all disability claimants can easily show that their health would effect them in the work-place. Most cases end up being decided at Steps 3, 4, or 5. Having helped thousands of people through this process, our attorneys know what kind of objective medical evidence the SSA is looking for and will help you to build a case that satisfies the government’s definition of “severe” impairment. Moving on to step number three: Does your impairment meet or equal one of the government’s disability listings? The law offices of Smith Godios Sorensen Inc. are located in Akron and Cleveland, and our lawyers help people throughout the state of Ohio. If we can’t help you by recovering benefits, you don’t have to pay an attorney fee. There is absolutely no risk and nothing to lose. To schedule a free consultation, call 877-230-5500 or contact us online. Does Your Impairment Meet or Equal a Disability Listing? Can You Perform Any of Your Previous Work? Are There Any Other Jobs You Could Do?